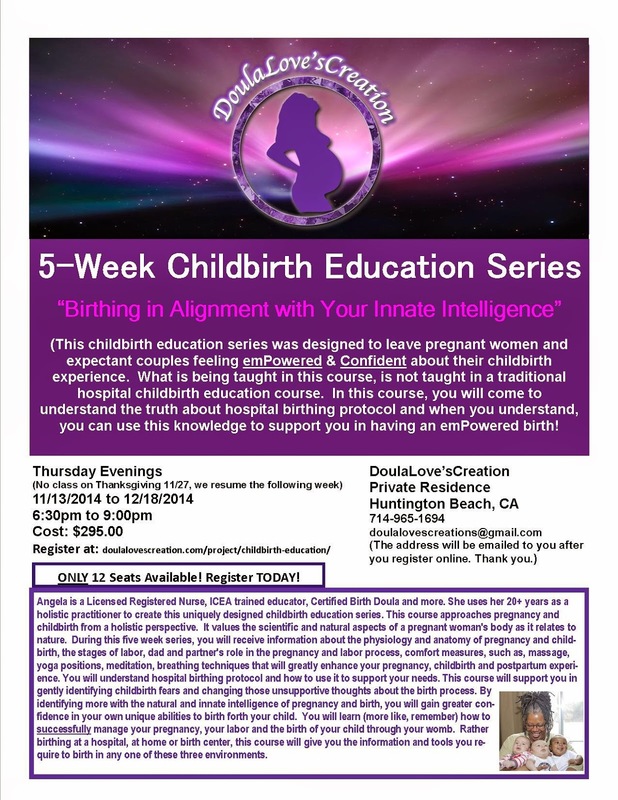 Just 6 Days left to register for the 5-Week Childbirth Education Series “Birthing in Alignment!” This is a Rich childbirth education experience! Totally unlike the childbirth education one would receive in a hospital childbirth education class. This is a holistic approach to childbirth. Moving your mind, body and spirit into alignment with the birth process. Register TODAY at https://doulalovescreation.com/project/childbirth-education/ I look forward to seeing you there!